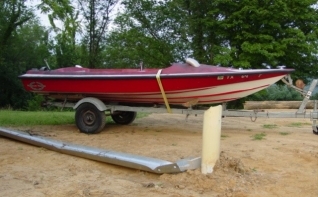 SOLID 16 FOOT MAGNUM OUTBOARD; HULL ONLY: (no motor or controls) Trailer available at addl. cost. Classic MAGNUM for restoration. The perfect shore boat for your MAGNUM 100′. According to MAGNUM MARINE, approximately 20 of this model were built in the late 1960s.